A personal revenge story set in the aftermath of the Bosnian war, Killing Season updates an old concept into a new setting but otherwise dissolves into tiresome and gory territory. Benjamin Ford (Robert De Niro) was a member of the NATO ground forces that intervened to end the war in Bosnia. Ford's unit liberated a prison death camp and captured Serbian soldiers belonging to the feared Scorpions militia. The NATO soldiers summarily and extrajudicially execute the Scorpions with bullets to the back of the head, but Emil Kovač (John Travolta), the man shot by Ford, survived. Years later Ford is living in the seclusion of a remote cabin in Tennessee's Appalachian Mountains. In Belgrade, Kovač buys information that reveals Ford's identity, and sets off to find and seek revenge on the man who shot him. 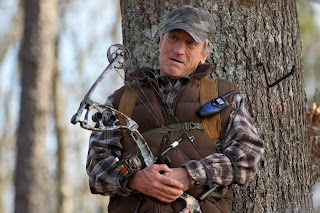 Pretending to be a big game hunter Kovač contrives a chance meeting with Ford and initially pretends to befriend the American, inviting him to join his hunt. But Ford soon realizes that he is the prey, and the two men are embroiled in a deadly game of torture, interrogation and survival far away from civilization. 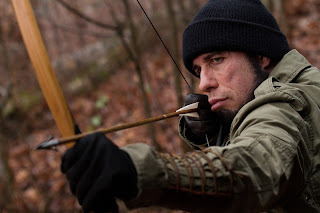 Simplifying a global conflict down to a man-on-man duel is an old cinematic premise and there is limited new material to work with in the sparse Evan Daugherty script, so Killing Season goes looking for fresh angles in the blood-drenched corners of the forest. Director Mark Steven Johnson unfortunately steers the film into a horror ride of inhumanity, the two men taking turns to inflict extremes of pain and suffering. Ford and Kovač have no qualms about resorting to the worst abuses and most barbarous methods, from arrows in the mouth (surprisingly survivable) to upside down hangings (worse than it sounds) and lemonade-and-salt (rather than water) boarding (weirder than it sounds). The film becomes an ordeal to be survived rather than a cerebral experience to be enjoyed. The meaningful interaction between the men about war, its impact on the men and how they are much more alike than different is decent, but has been seen before in many other and better films. The substantive dialogue occupies a grand total of perhaps seven out of the 91 minutes of running time. A subplot about Ford's estrangement from his son's family is undercooked to the point of irrelevance. With therefore nothing else going on except two men conducting a private war, Travolta and De Niro have to be good, and the two veterans deliver committed performances. Travolta carries a thick Serbian accent throughout, and it sounds authentic if quite difficult to penetrate. De Niro, around 69 at the time of filming is surprisingly physical and agile. 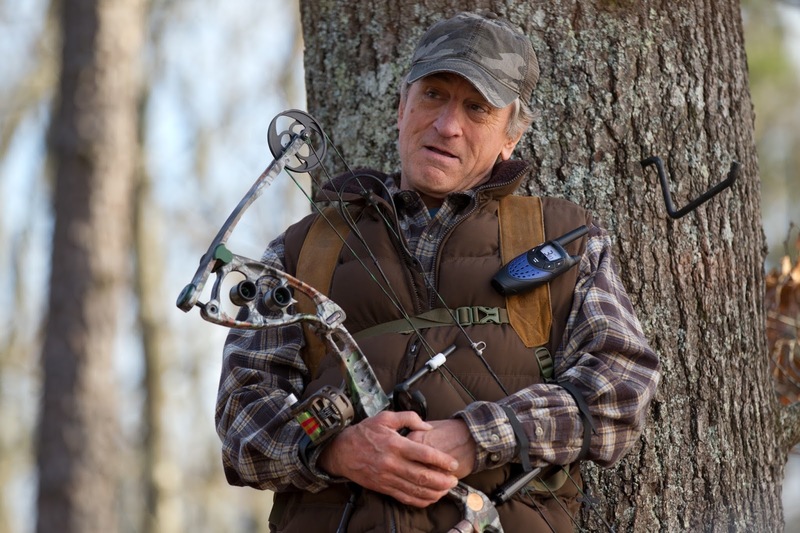 Killing Season goes looking for big game, but only finds a couple of reliable warhorses.